With more and more use of stainless steel for wall cladding and hand rails etc in the work place and recreational areas such as shopping centres, finger-marking and smearing is becoming a great problem. There is a solution - Gibbs Brand will not only clean and remove finger marks from stainless steel surfaces but make them much more resistant to further marking. Due to the unique way Gibbs Brand works, means that it has a huge amount of applications in industry, many of which compliment each other. Gibbs Brand’s ability to lubricate without leaving a sticky, dirt attracting residue is particularly useful in polluted and dusty environments. 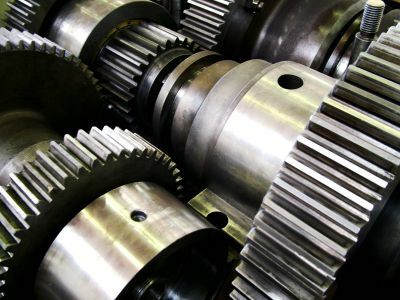 Machinery that is prone to clogging and jamming will run for longer when lubricated with Gibbs. Bare metal cutting tools will stay cleaner and remain corrosion-free. 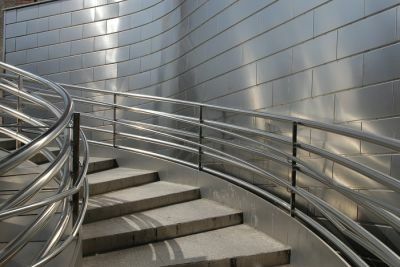 When treated, bare-metal stock such as sheet steel and castings can be preserved from corrosion and handled without leaving corrosive finger-marks. Finished metal articles of all sizes can be cleaned, leaving a natural finish that is resistant to staining when handled. Gibbs will not interfere with any subsequent painting processes. Gibbs Brand is an extremely fast-acting penetrant;- speeding-up the stripping and overhauling of machinery and equipment, particularly when dealing with heavily corroded or seized components. Not only is Gibbs Brand a water-proofer it is also a water-dispersant and contact cleaner, meaning that only one product is needed to deal with items such as external junction boxes used in the electrical and telecommunications industry. Gibbs Brand works in all temperatures, will not gel or leave a sticky dirt attracting residue, plus you can even paint over it!